Because descriptions of Marburg virus pathology are equally applicable to Ebola virus, some pathologists feel that the findings are not distinctive enough to permit a positive diagnosis of either on the basis of pathology alone, especially in regions where there are many causes of fever and death. 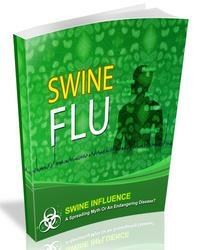 Guinea pigs and rhesus and vervet monkeys are susceptible to the virus. The infection is fatal for the monkeys and, often but not always, fatal for the guinea pigs. Guinea pigs that recover may have persistent virus in serum and urine for several weeks. The same has been observed for human beings. Ebola virus infection is considerably more fatal in humans than is the Marburg virus. In the four secondary Marburg cases studied, it was clear that their clinical course was less severe than that seen in primary cases, and there was no mortality.